About Personal Injury Attorney | Suggs Law Firm P.C. Attorney Eldridge Suggs IV has served his community starting with enlistment in the U.S. Navy and then serving as a Police Officer. Later, he served as a Civil Rights Lawyer for Justice. Now at Suggs Law Firm, P.C., he is completely committed to making our community a safer place to live. Safety rule violators beware! Suggs demands high and fair compensation for those seriously injured, and he has recovered millions of dollars in compensation for injured people across the U.S.
At Suggs Law Firm, P.C., we fight against wrongful death, medical malpractice, auto and truck injuries, premises injuries and other personal injury matters. If you have experienced an injury due to any unsafe act, Suggs Law Firm, P.C. has the lawyer who will fight tirelessly for you and for a safer community. As an innocent victim of negligence, we believe you are entitled to be compensated for your injuries and losses. When it comes to getting the best legal service, take your case to Suggs Law Firm, P.C. We genuinely care to get you the best outcome for compensation. We charge no fee until we recover full and fair compensation for your injury. Our firm can refer you to an effective doctor to treat your injury with no upfront cost to you. We know how important it is to stay in communication. In order to deliver supreme personal client service, we provide cell phone numbers for direct contact with your attorney. Attorney Suggs is a trusted and respected leader in the legal fight for justice. He has received many awards and recognition. 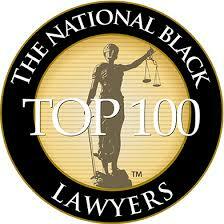 Attorney Suggs was named a Top 100 Black Attorney by the prestigious National Black Lawyers Top 100. He has been honored for “20 Years in Law – A Lifetime of Service”. He is also a recipient of the 2017 “Best of Atlanta Profile Series” by the Atlanta-Journal Constitution.